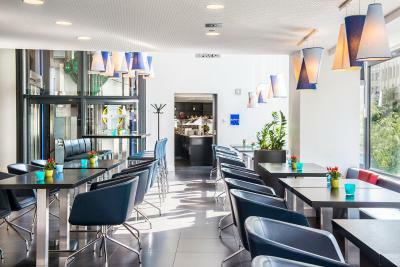 Lock in a great price for Park Inn by Radisson Luxembourg City – rated 8.8 by recent guests! Location was wonderful for exploring much of the area. Parking was a bonus! The service at Reception was wonderful. I can't remember his name :(, but he was so kind and very helpful! 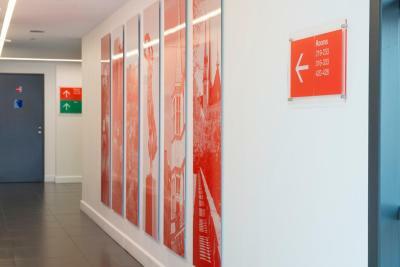 The hotel and the staff were phenomenal and with a five to seven-minute walk from the bus/train station. Not to mention a ten-minute walk from the Cathedral of Notre Dame. I've stayed here twice, and if I return to Luxembourg again. I know where I'll be staying. My stay here was one of the best I've ever had. It was a five minute walk from the bus/train station, and about ten minutes from the Notre-Dame Cathedral. The staff spoke English, French, and German. Were very helpful and very accommodating. The bed was comfortable, the walk-in shower was nice. 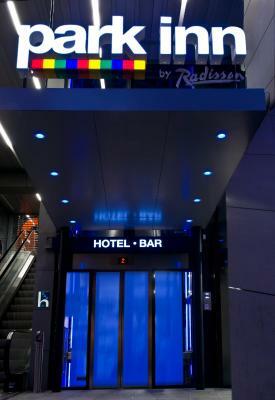 I was impressed by the sophistication of the access card, which is required to use the elevator and access the lights in your room (Next to the door was a slot that said "Card Holder", you cannot activate the lights unless you insert the card. Clean, comfortable, well maintained and quiet. A perfect spot to rest after you are done with the day's work or socializing evening. It's very well located so walking distance to anything and everything. Be it the Grund, shops, restaraunts or clubs. 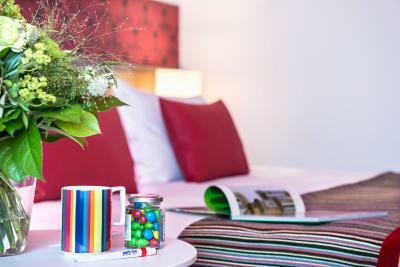 It's just a few minute bus ride to Kirchberg (EU quarter), and a few minutes walk to the central bus station, so there's always a bus you can take. The surrounding alleys might be a bit dodgy at night but the hotel starts on the second floor and keeps its lift off limits to wanderers at late hours. 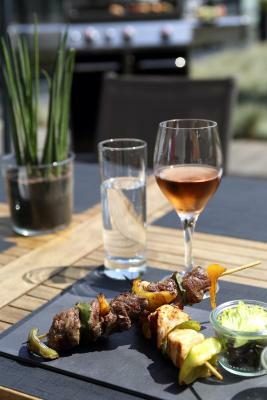 A good choice for business and some leisure. This was a delightful stay. My wife and I visited Luxembourg to visit the birthplaces of my ancestors, dating back to the late 1700s. 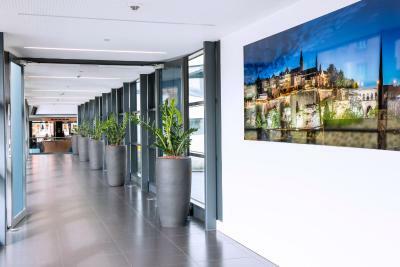 Travel around Luxembourg is difficult, and the staff was very helpful to help us navigate this issue. Michael, the manager of the Reception staff at Park Inn, was incredibly helpful, intelligent, and just plain concerned with meeting all our needs. This was done to perfection by Michael and everyone on his staff. Michael's leadership and example was reflected in his staff members. I have traveled over 2 million miles across the globe, and this was my (and my wife's) most delightful stay. The breakfasts were wonderful, and reasonable besides. The bar was really nice. Air conditioning was perfect, and the rooms were sparkling clean. The beds were super comfortable. I was told that they were new in May of 2018. We stayed for 9 days, so that was the real test. We would go back to the Park Inn with glee. What more can I say???? Location. Clean room and comfy bed. Good and large shower. Nice gym facilities. 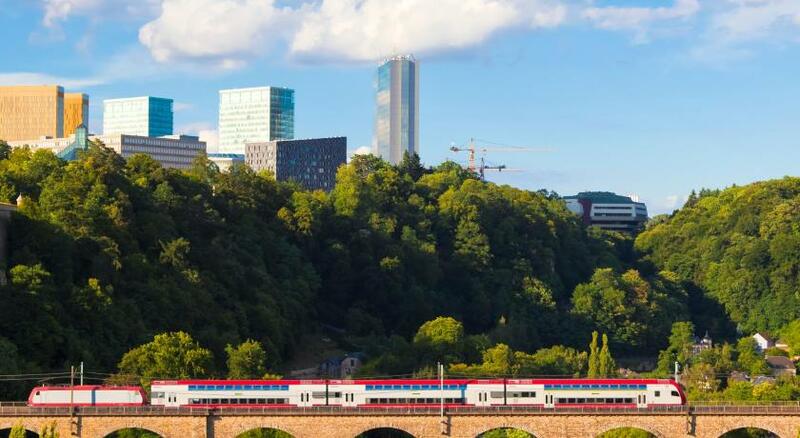 Good choice for downtown Luxembourg. Very clean property. Personnel were constantly vacuuming and mopping the lobby area. Our room was spotless. The airco on such hot days !!! The bottle of water in the room at arrival. 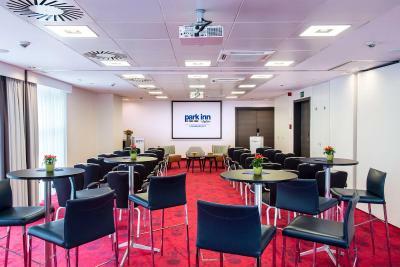 Park Inn by Radisson Luxembourg City This rating is a reflection of how the property compares to the industry standard when it comes to price, facilities and services available. It's based on a self-evaluation by the property. Use this rating to help choose your stay! 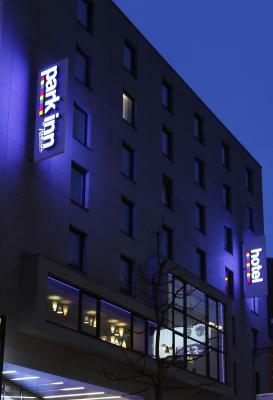 Park Inn City is 650 feet from Luxembourg’s main train station. 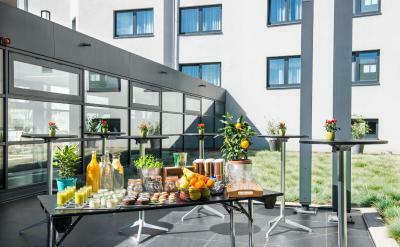 It features a well-equipped fitness center, on-site dining and modern appointed rooms. 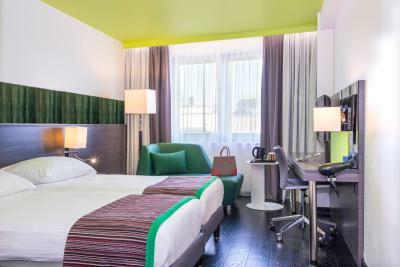 The rooms at Park Inn by Radisson Luxembourg City have design furniture, air conditioning and a flat-screen TV with satellite channels. Each one comes with a private bathroom with a shower. Guests can work out at the fitness center that comes with cardio equipment and free weights. 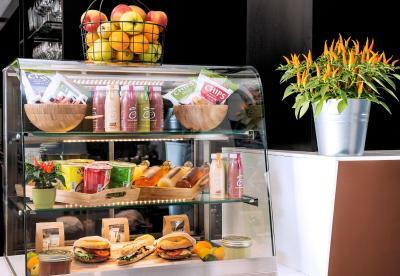 The DUE Bar offers light snacks and cold drinks or cocktails. 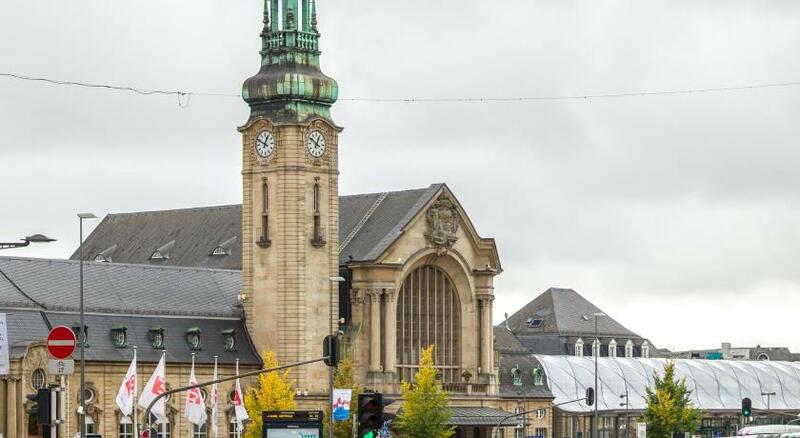 The UNESCO-listed city center of Luxembourg including the Noter Dame-cathedral is within 5 minutes walking distance. The Kirchberg district is less than 3.1 mi away from the hotel. Gare is a great choice for travelers interested in architecture, old-town exploration and walking. 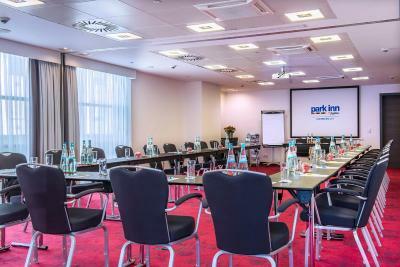 When would you like to stay at Park Inn by Radisson Luxembourg City? Air-conditioned room with a satellite TV and a private bathroom with a bathrobe and slippers. 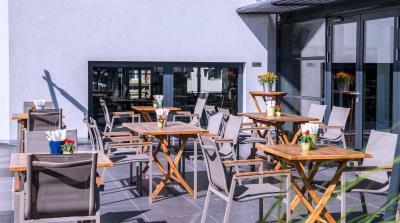 Hotel surroundings – This neighborhood is a great choice for travelers interested in architecture, old-town exploration and walking – Check location Great location - show map Guests loved walking around the neighborhood! 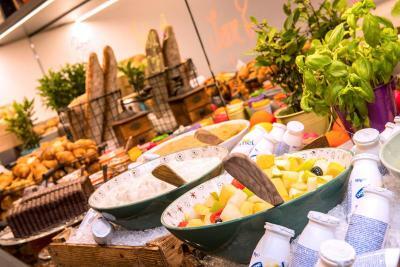 House Rules Park Inn by Radisson Luxembourg City takes special requests – add in the next step! 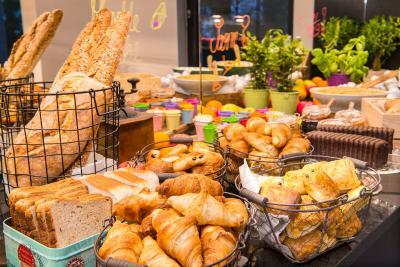 Park Inn by Radisson Luxembourg City accepts these cards and reserves the right to temporarily hold an amount prior to arrival. Please note that parking is available at Nobilis Parking, 28 Rue du Fort Neipperg. When driving on Avenue de la Gare, turn to the right on the first junction onto Rue de Bonnevoie and keep left. In the first conjunction turn right onto Rue du Fort Neipperg. Continue +/- 150 feet on Rue du Fort Neipperg. The NOBILIS parking facility with direct access to the hotel is located on the right-hand side and offers a special rate for hotel guests. 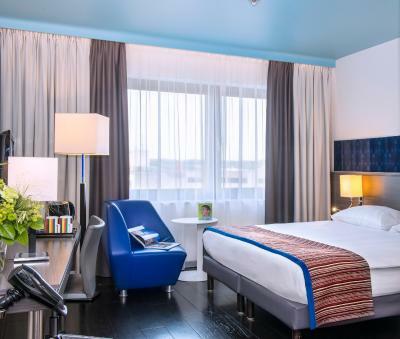 Please note the hotel can pre-authorize your credit card for the amount of the reservation. Extra beds for children are available upon request. Please contact the hotel for more information. 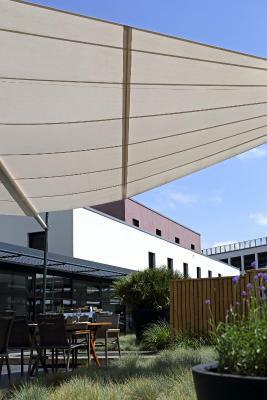 Find our Parking (Parking Nobilis) with direct Access to the Hotel on the following Address: 28, rue du Fort Neipperg, L- 2230 Luxembourg. GPS Coordinates: 49.602634°, 6.13487°. The bed was very, very firm, we had difficulty sleeping comfortably. The pillows were great! 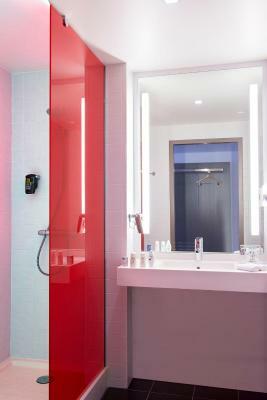 Although we have traveled throughout Europe and stayed in many hotels and rented flats, we found the bathroom here seriously lacking. The shower and sink are contained in one windowless compartment and the toilet is contained in a much smaller one in another part of the room. It seems poorly designed for hand washing after use of the facilities. Otherwise our stay was wonderful. Staff were pleasant and the hotel was virtually spotless! Staff was very friendly and helpful, special award to Klara who was one of the most gentle receptionist I have ever met (and I travel a lot). Location was good, everything in a walkable distance. Gare at night turns to Zombieland and Ghoultown so the location can be a minus. No ideas for improvement. Wonderful place. Wonderful staff. Bedroom was SUPER nice, so was the shower facility. Breakfast was a teensy bit pricey but definitely worth it. Very centrally located; 5 minute walk from the bars and other cool stuff. Great place to stay! The front desk staff are very friendly and helpful! The room is spacious and very comfortable! Definitely will stay here again when I travel to Luxembourg again!! Only the doors are hit hard, that’s maybe a little point. Really positive about the parking that’s close by. The inkomhall was very confi. A super good breakfast. Check out 12 o’clock is perfect! Close by everything. Lot of night/strip clubs around (I would not call that a downside 😉) but because of that a lot of doubtful groups around. The receptionist, Michael, was fabulous! Excellent room and service. Employee Ricardo stood out with severa city tourl tips and free upgrade. Hotel charges half a nights price as collateral in case of extra charges to be paid upon arrival via a credit card reservation. The room just as expected. Has a walk-in shower. Awesome! 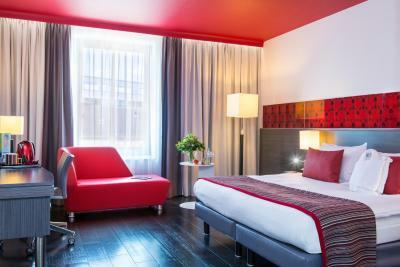 Comfortable bed, strong hair dryer, very well clean room, enough choices for teas. Tv room was big and a minute walk from the central station. I loved staying there. At midnight, It is hard to find to find the elevator from the outside as it is hidden behind the pillar and you have to press the button for the staff to let the elevator down. Didn’t try the breakfast. Staff was very friendly.